The strange artwork that hangs above the bed, the well-sorted sneaker collection: artifacts, the stuff of life—insanely expensive or sentimental mementos—from around the world. These are the things that spark the imagination, that make you want to change things in your own home. And they reveal an awful lot about the character, dreams, and souls of these lucky few. The authors and photographers from Welt am Sonntag visited these top creative minds, artists and style icons in their homes. Among them are a daughter of Danish architect and designer Verner Panton, the son of the legendary Piero Fornasetti, Picasso biographer John Richardson, Axel Vervoordt, the master of sparse opulence, an attorney who is also a passionate collector, a Frenchman who reigns over a hair-care empire in New York, and Berlin’s most controversial architect. The results are far from highly polished photo productions in which each bouquet of flowers is carefully arranged, each coffee table book straightened at a right angle with the homeowners hiding behind perfect tastes. Here you’ll find our rather intimate encounters that offer glimpses into unmapped territories. Private, curious, and—fortunately—a little eccentric. We would like to thank these people for inviting us into their homes. At the same time, we would like to encourage our readers to take this book as a halfway-serious encouragement for shaping your own lives. A portrait of Mick Jagger by Andy Warhol over the mantel, a vase you have made yourself or a thoroughly impractical gigantic sculpture in the dining room make life simply better. In other words, stop listening to the TV and try this at home! 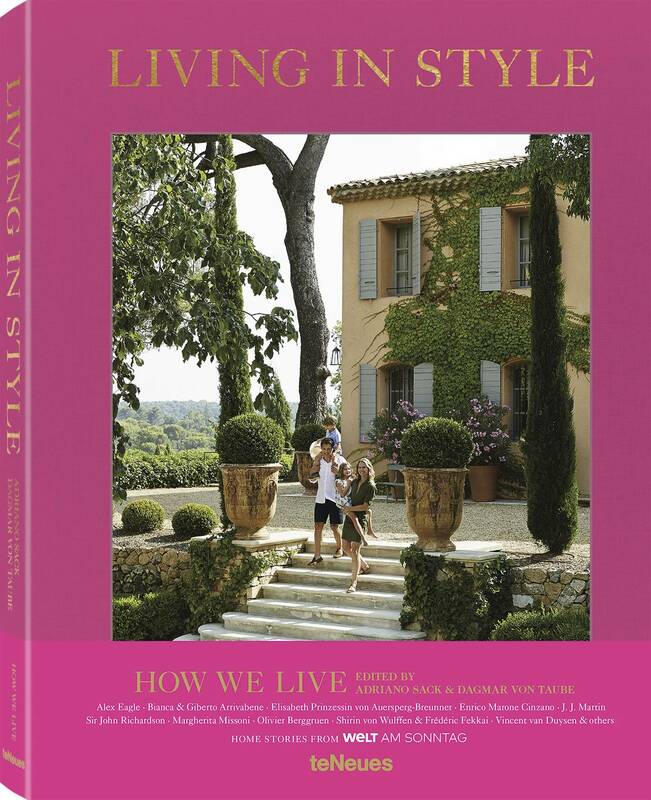 Style experts and co-authors, Adriano Sack and Dagmar von Taube, have compiled the most beautiful home stories published in Welt am Sonntag into a fascinating photo volume that is a wonderful source of ideas for your own home. ADRIANO SACK is an author and head of the style department at Welt am Sonntag. He lived in New York for several years, where he wrote books, founded the Internet platform and magazine ilikemystyle, drank too much tequila with artist Terence Koh in his brilliantly white studio, and talked about German expressionism with Tom Wolfe. His books have been translated into numerous languages. He moved back to Berlin in 2011 and finds the city much better than its reputation would suggest. Hamburg native DAGMAR VON TAUBE has called Berlin home for years. As chief reporter for Welt am Sonntag, she meets the great and special people, from Hillary Clinton to Roman Polanski, and creates portraits of them in incisive interviews. She fought about kitsch with Jeff Koons and was invited by Eliette von Karajan to her house in Saint Tropez for three days, where madame welcomed her in her pool—wearing only a black swim cap as the interview began. Von Taube was a correspondent in New York; and she packed gift baskets for stars like Aretha Franklin at high-end grocer Dean & Deluca. In 2009, teNeues published her photo book Berlin Now.